This case is perfect as far as I'm concerned. It doesn't hold all of my bits and pieces but there's enough room to put what I need for that particular outing. 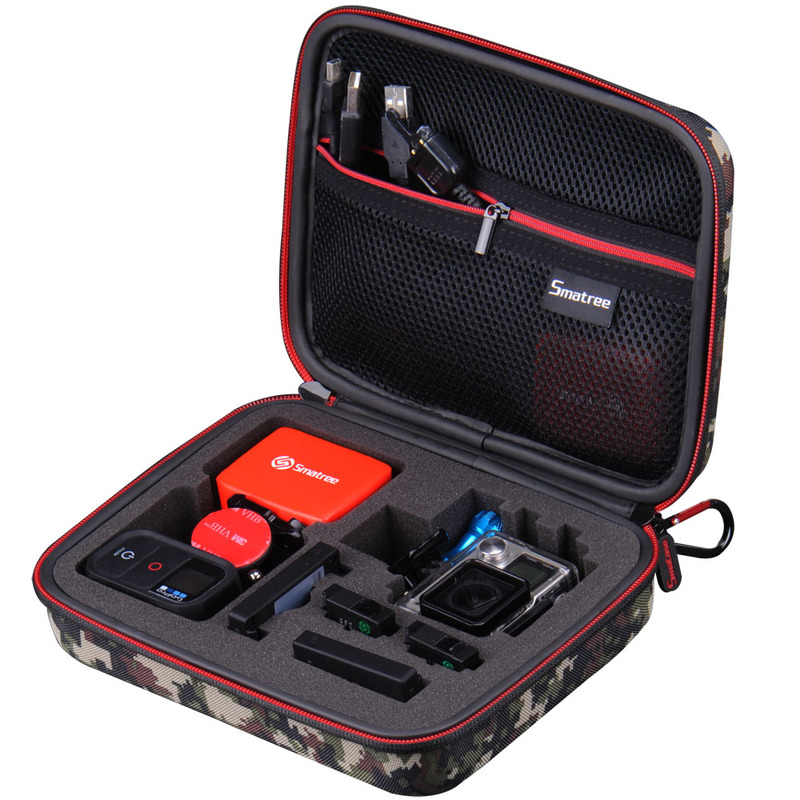 I plan to buy more GoPro units and can see having each one with a basic set of accoutrements packed in one of these then I just grab and go based on the scenario. If I have certain needs like waterproof or suction mounts I would just make that adjustment ahead of time and everything fits. Feels sturdy and the zipp compartment above keeps things from falling out. If I need more room I can just take out the foam insert and put the cameras in a felt wrap or microfiber pouch and I can bring even more items. The handle on the outside is useful too..some don't have one. I like this case. I have been using a old bag for my GoPro stuff and this is a wicked upgrade. 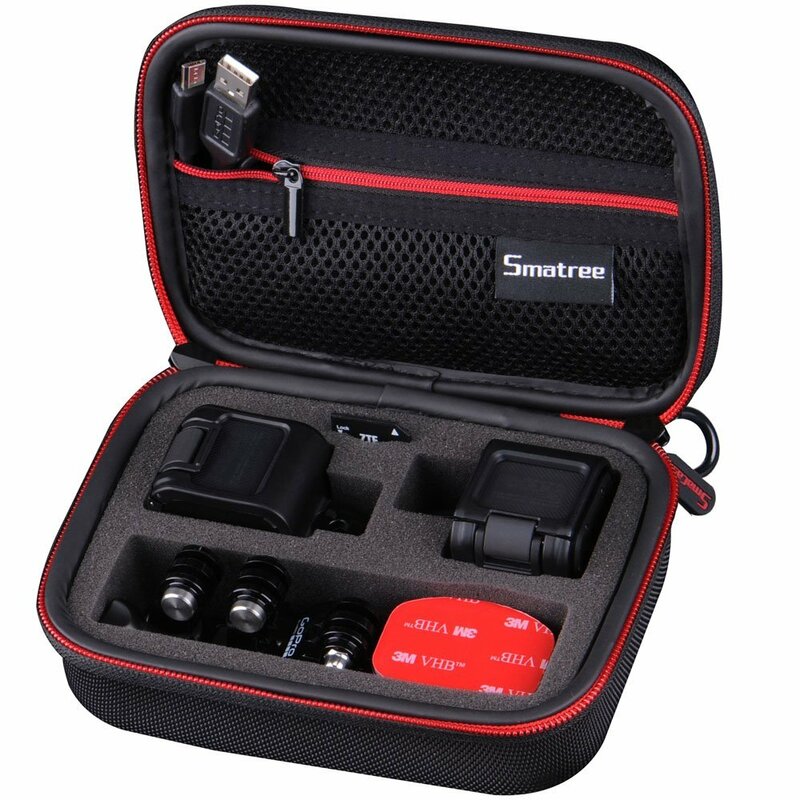 Hard Shell, big zipper and features, I overall like this case and the foam inserts allow you to customize the case to your liking. The only reason I gave 4 stars is because I don't think the case is big enough to fit 2 GoPros and the accessories that someone with 2 GoPros would have... maybe if it was a little thicker it would be a 5 star. 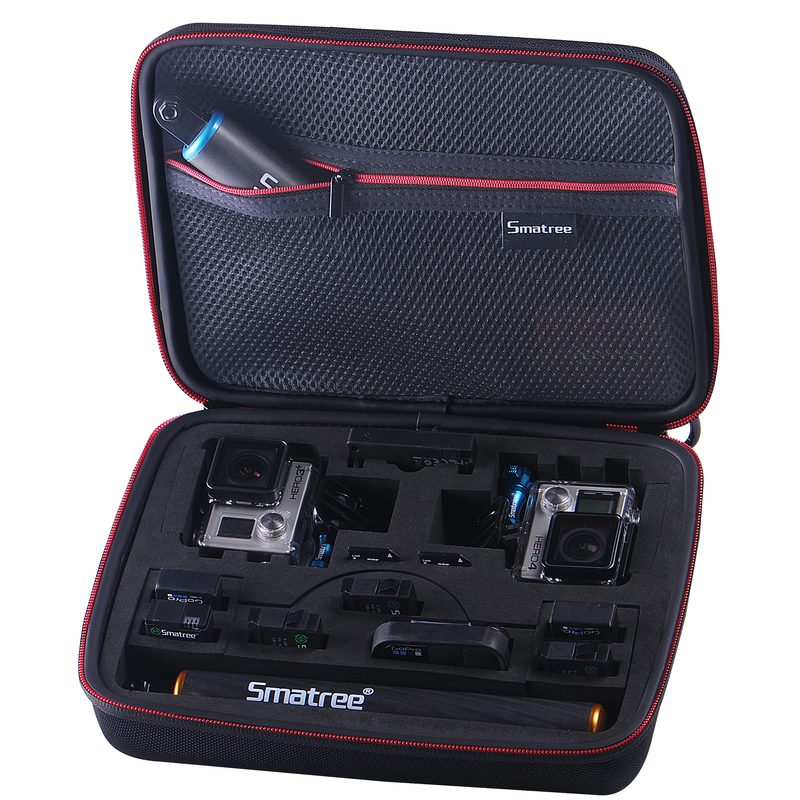 Great GoPro case, AND CHEAP!! !